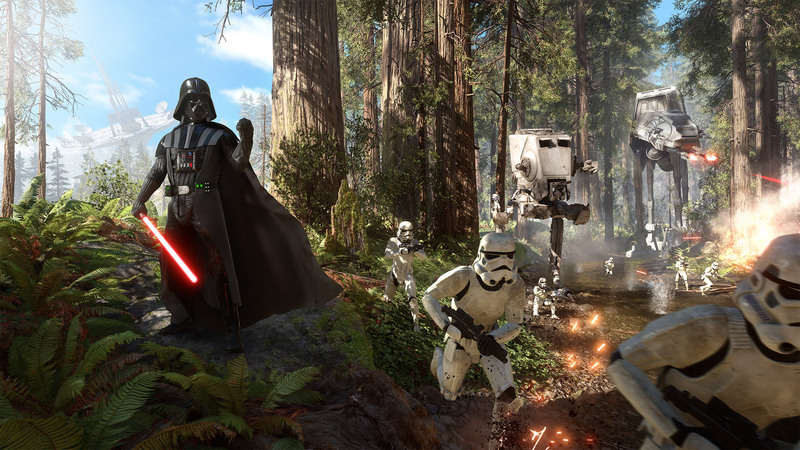 The new Battlefront is finally out. Every lucky Star Wars fan has grabbed a copy. Never before has the Star Wars universe looked so real. In beautiful high definition we have planets like Hoth, Endor and Tatooine for us to enjoy and explore. Well explore whilst avoiding heavy gun fire from the Empire. As realistic as these planets look there is a part of me that wishes I could recreate famous scenes over and over again. A single player campaign could have lifted this title from dazzling paper weight into a contender for game of the year and here’s why. Starting off we’ll go with the obvious. Simply working off the original trilogy the whole story could have had a fresh lick of paint bringing the much loved trilogy into the twenty-first century. 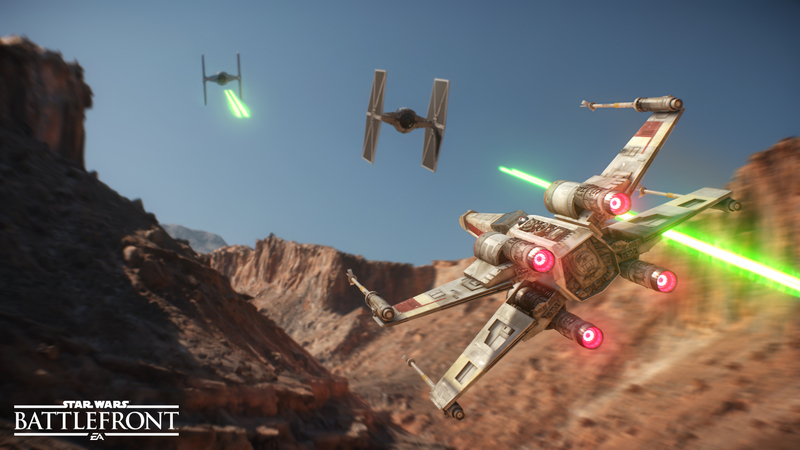 These new visuals could fully immerse players in the Star Wars experience. Starting off with Luke as a young lad on Tatooine you could progress through the many trials him and co go through to bring peace to the galaxy. There is not one fan who wasn’t disappointed to learn there would be no single player. An absence of this size is sadly becoming more common with developers opting for multiplayer only games, but for a timeless saga like this something magical could be made that would live on in fans hearts for years to come just as the films did in the cinematic world and will continue to do so. The hard work is done; This is the depressing truth. The groundwork for the premise of a single player mode is all laid out and ready to go, yet all this work was merely for an online shooter. 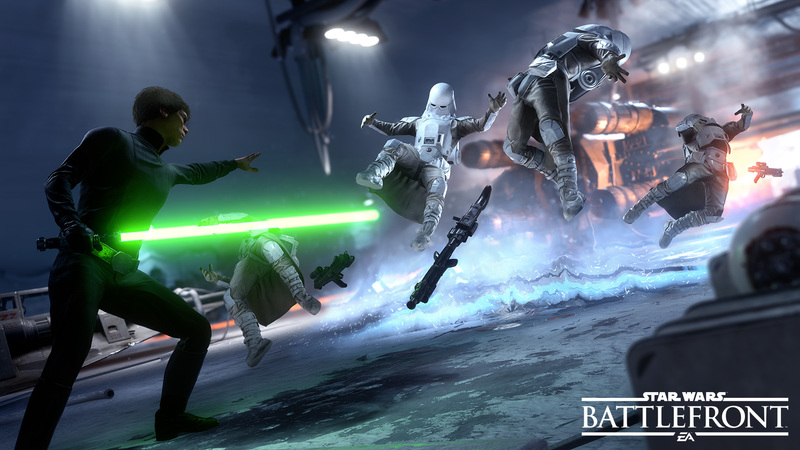 Maybe that’s a bit harsh as the gameplay is exciting especially when you throw in X-wings and AT-AT Walkers. I just feel there was so much potential that was untouched. Some minor updates could enhance the package even more. An exploration feature where instead of having to be in a match to view the planets you could examine at your on leisure. The incredible amount of detail is so easy to miss and could be appreciated more so with this easy to add feature. Adding this at the least would give the player a little single player playtime as well as boosting up the amount of content on the game which would be welcomed all around. There are no fans more devoted than Star Wars. There allegiance to the films is second to none. Being one of them I know that the abillity to jump into the Millennium Falcon and go head to head with the Empire is something dreams are made of. Now that we have a version of this, it doesn’t feel as grand when you have a ten year old shouting profanities at you every second. I would much prefer a single player game with no multiplayer at all then the latter however I can appreciate what EA have made. In my mind they just could have done something different that would be that Star Wars game we have always wanted. There is no doubt that the Star Wars universe has never looked greater. The developers at EA Dice have done a stupendous job creating this labor of love however for the credentials of this video game to reach true height a single player aspect is a must. You want it, I want it but for the time being this is nothing but a pipe dream. At least the Battle of Hoth is pretty cool.